If you're an Apple iOS Device Geek and using Apple TV with addition of iPhone, iPad and iPod Touch than you will pleased to know that you can actually Control and Operate Apple TV Remotely with Basic Voice Commands and can wirelessly operate all the features of Apple TV without any efforts and movements from your home bed to the Apple TV. There are several ways through which users can Control and Operate Apple TV Remotely and Wirelessly with Basic Voice Commands, thanks to iOS-hacker and jailbreak community for that because they have found out the way and methods to do that, so if you too wants to know How to Remotely and Wirelessly Operate Apple TV with Basic Voice Commands through iPhone, iPad and iPod than this Tutorial and Guide will helps you to do that. 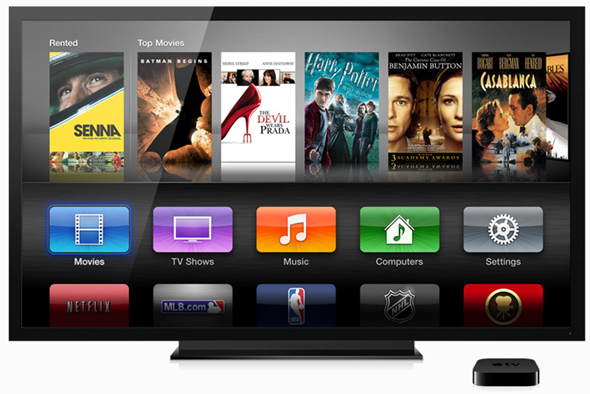 The main advantage of this process is that you can actually get experience of Siri Voice Command into Apple TV. We don’t know when Apple will brings "Siri" features into Apple TV so that people can use "Siri Voice Commands" into Apple TV without any movements and extra efforts from their beds, may be they will do that in near future but till than we can still be able to integrate basic voice commands into an existing Jailbroken Apple TV set-top box to make it works like "Siri". If you wants to Remotely Operate Apple TV with Basic Voice Commands than you will need a Jailbroken Apple TV as well as a Jailbroken iPhone or iPad or iPod Touch device that has Siri feature totally Switched Off and the device is using an old-fashioned voice command functionality, user will also needs to install aTV Flash into Apple TV. Now let’s start the Tutorial and Guide on How to Remotely and Wirelessly Operate Apple TV with Basic Voice Commands through iPhone, iPad and iPod Touch. Step 1: With the jailbroken Apple TV unit connected to a high-definition TV make sure that aTV Flash is installed. From Maintenance->Manage Extras option, install AirControl. 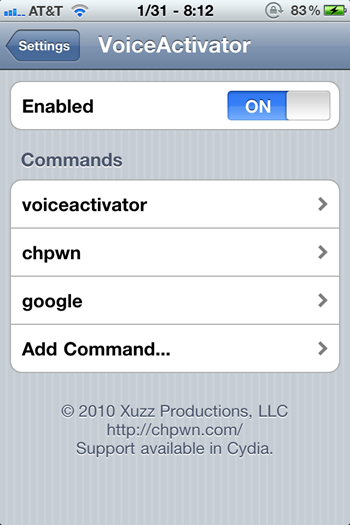 Step 2: Invoke Cydia on the jailbroken iPhone and locate the VoiceActivator tweak that was developed and released by Grant Paul – also known as chpwn. VoiceActivator allows custom voice commands to be set up on the device that then invoke unique features. Step 3: Open up the Settings application on the iPhone and enter the VoiceActivator settings. Make sure that the tweak is enabled via the given toggle before selecting Add Command. Step 5: Save and exit VoiceActivator settings. On the Apple TV, select option that takes you away from the home screen. For example, open up the settings menu. On the iPhone, press and hold the home button to invoke the voice command feature and say the word "home". The command should be delivered to the Apple TV via the entered URL and magically take you back to the home screen. Note: User needs to make sure that both Apple TV and Jailbroken iPhone, iPad and iPod Touch devices are well connected to the same wireless network. The above process won't work if you skip any steps mentioned above and you will go back to the main home screen, please follow all the steps properly in order to make those commands to work and be transferred successfully, you can also check out below Additional Voice Commands, all of which need to have their own Voice Activator command set up on the iPhone, iPad or iPod Touch.